How much do 2019 Final Four suites cost? 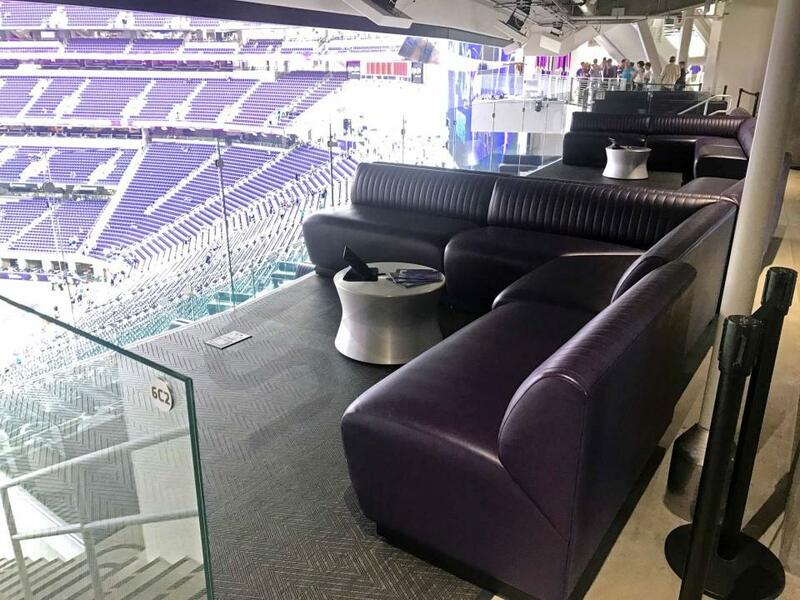 Suites for the NCAA Men's Final Four at U.S. Bank Stadium will vary in price based on the size of your group and the location of your suite. Valhalla suites tend to be the most expensive and Loft suites will normally be the least expensive. This mainly has to do with how close you are to the court. Based on previous Final Fours, suite prices could range from $75,000 - $125,000. This price includes tickets to both Semifinal games on April 6, 2019 and the Championship game on April 8, 2019. A total of 3 games are included in the suite price. Located in Mystic Lake's Club Purple on the Loft Suite Level VIP Couches are the perfect premium option for small groups of 8-10. Club Purple also features an outdoor deck, bottle service availability, all-inclusive food and beverage, private entry, private restrooms and VIP parking access. The club area, located just behind the couches, features a variety of lounge seating and spans over 10,000 sq. feet with and 3 full service bars. 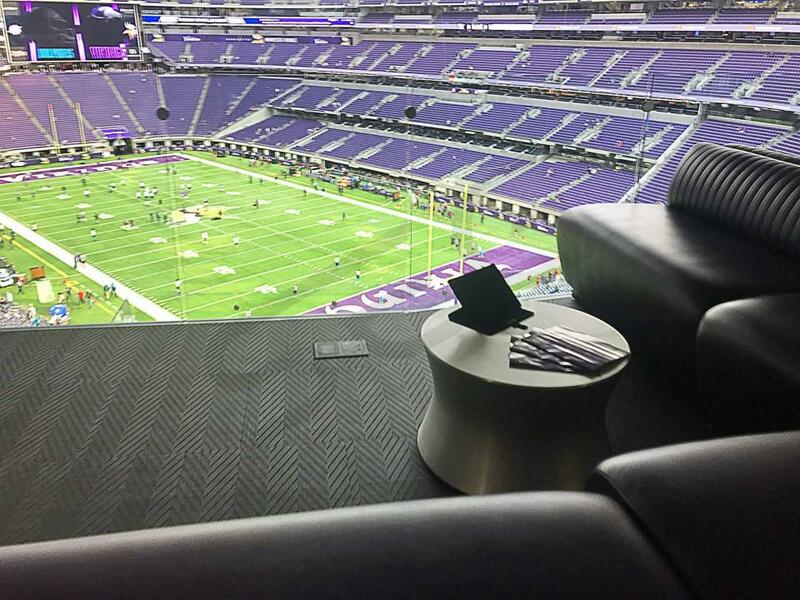 Loft suites are located on the sidelines of U.S. Bank Stadium and will include 18 tickets. Loft suites feature multiple HDTVS, 12 high-back stadium seats and 6 bar stools. A food & beverage package (including beer and wine) is included with your suite purchase. 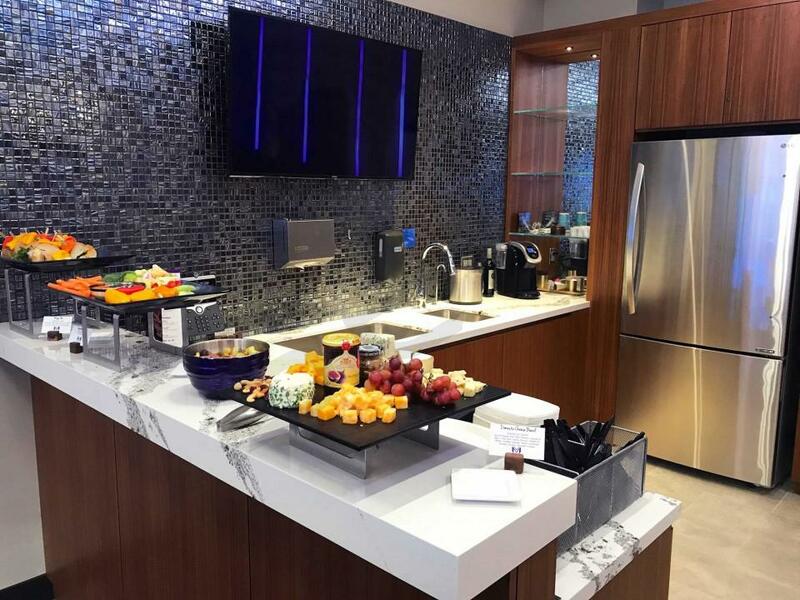 Along with the premium in-suite catering options, you will have a suite attendant in your suite to assist with all your food and beverage needs. 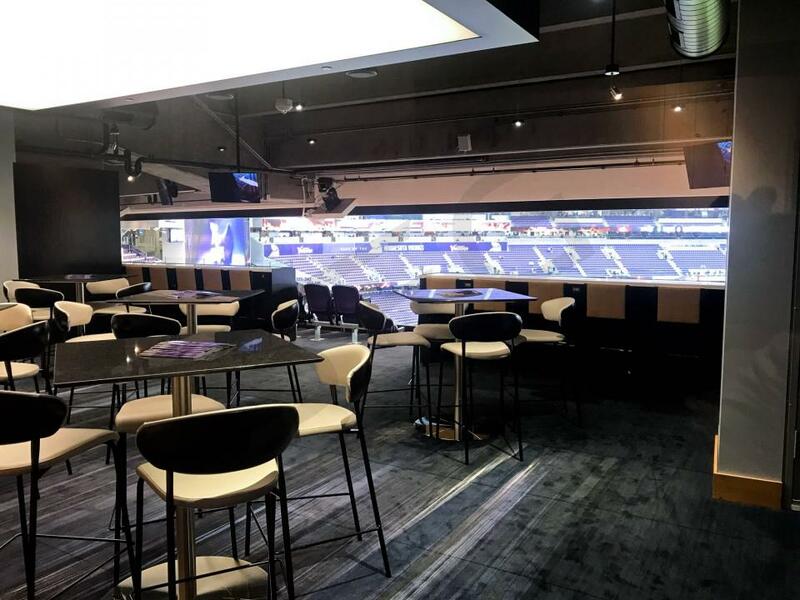 Your group will receive exclusive access to private VIP clubs inside the stadium, including Mystic Lake Club Purple located on the Loft Level. Norseman Suites are located just 36 rows from the field and offer some of the best vantage points to watch Vikings Football. 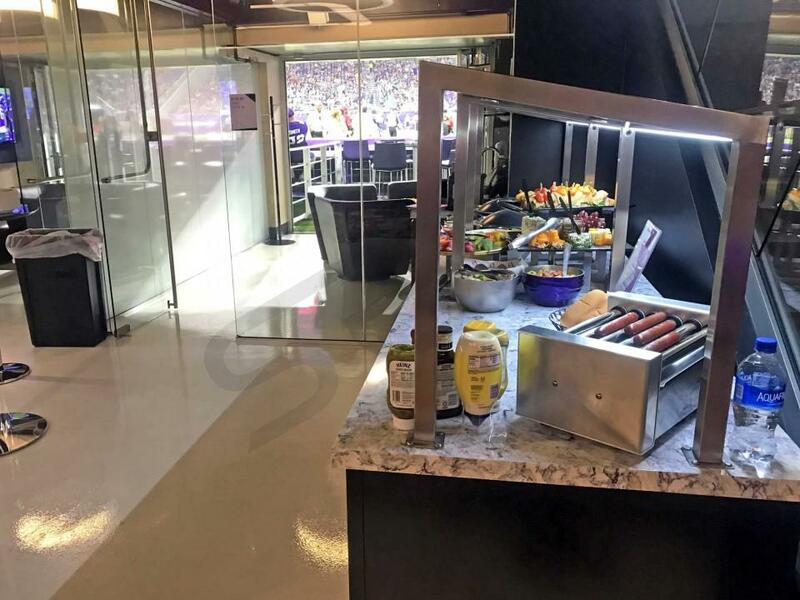 Norseman suites come with all inclusive catering, HDTV's, VIP Parking Passes, 12 stadium style seats, 6 bar stools, and access to VIP clubs inside U.S. Bank Stadium. 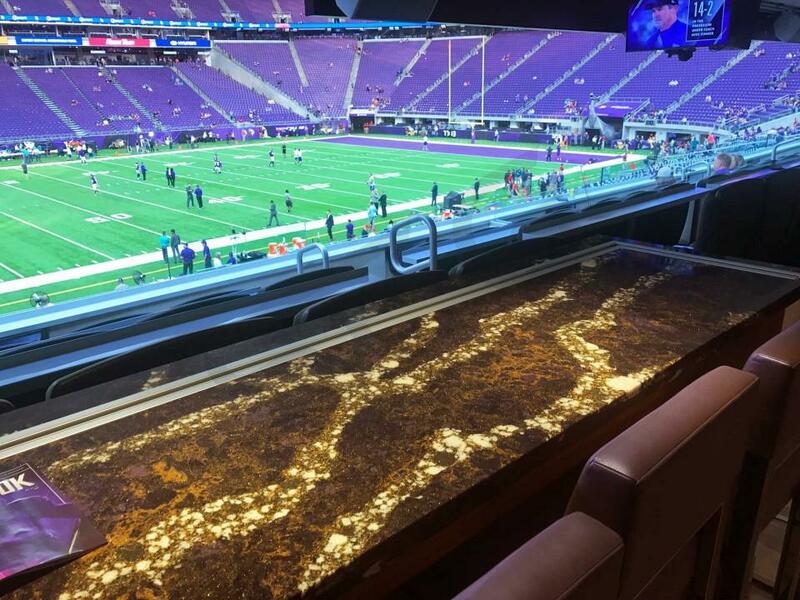 The Norseman Lounge Suites are a great way for a small group to take-in an event at U.S. Bank Stadium. 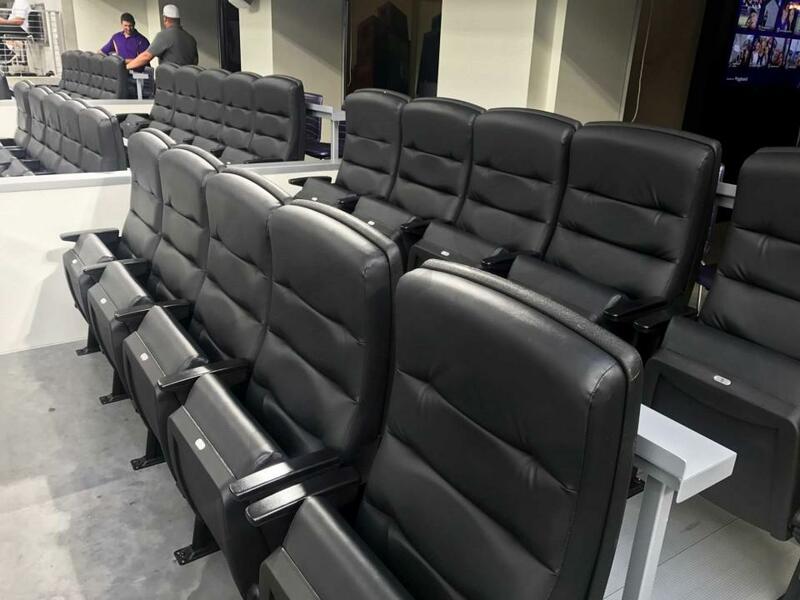 These are the smallest suites in the building and include 5 high-backed stadium seats and 4 movable chairs in the second row of suite seating. There are 3 additional chairs placed in the suite for guest comfort. Guests also have access to the Norseman Lounge with all-inclusive food and beverage. 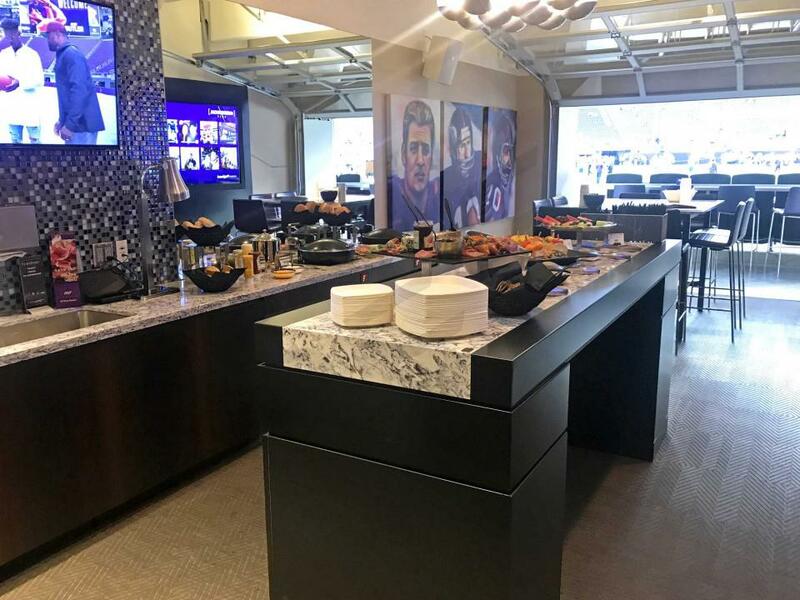 The Lounge includes a bartender to mix drinks and a high-end food spread consistently replenished throughout the game or event. 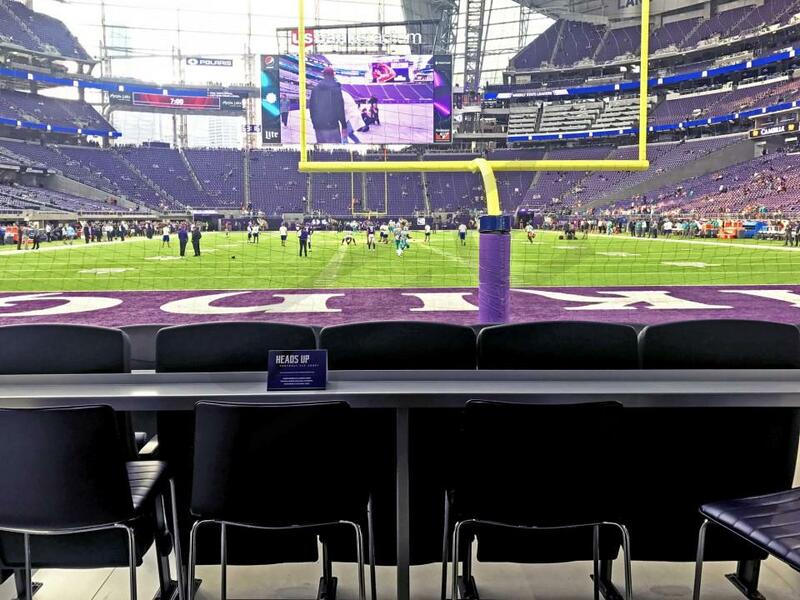 Turf suites are located at field level on the Vikings side of the field with players on the Vikings bench often just feet away. These suites can accommodate groups of up to 24 guests. 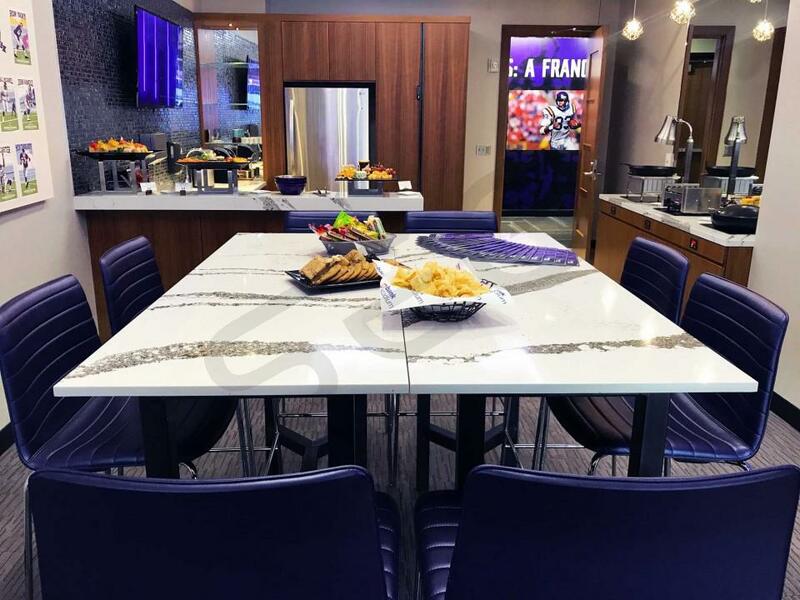 Turf suites feature an outdoor patio area, HDTVS, option to purchase in-suite catering and VIP parking.With your Turf suite, you will also have exclusive access to the Delta Sky360 Club, through which Vikings players enter and exit the field. 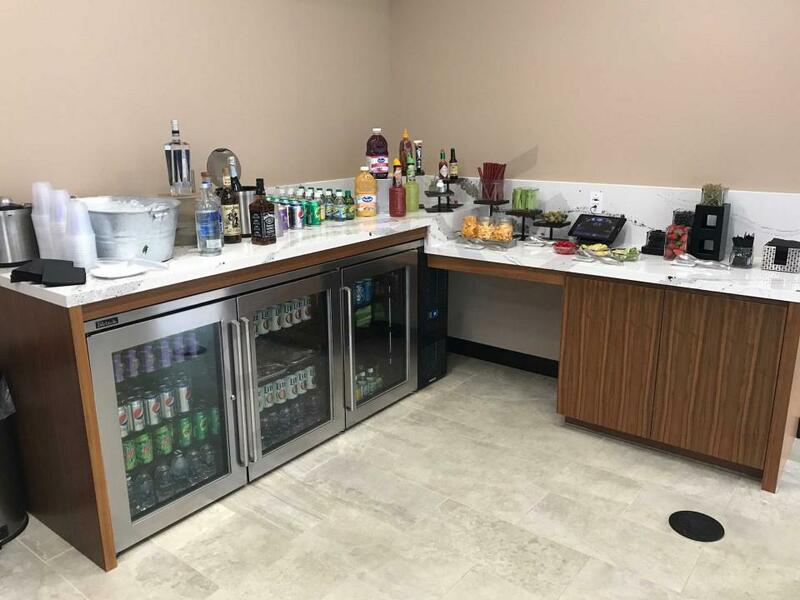 A food & beverage package (including beer and wine) is included with your suite purchase, and a wide array of food and drinks are available in the Delta Sky360 Club for your enjoyment. 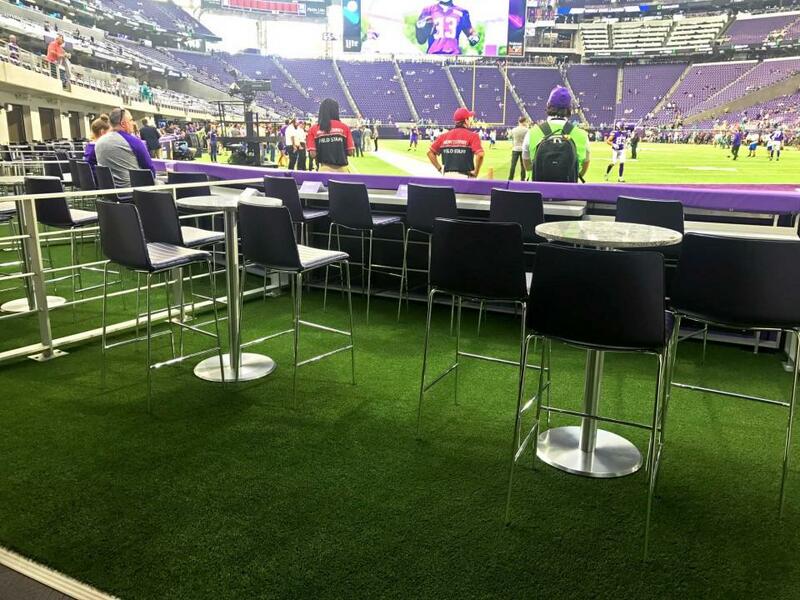 The Mini-Turf Suites are located directly behind the Vikings bench and are the closest suites to the action. 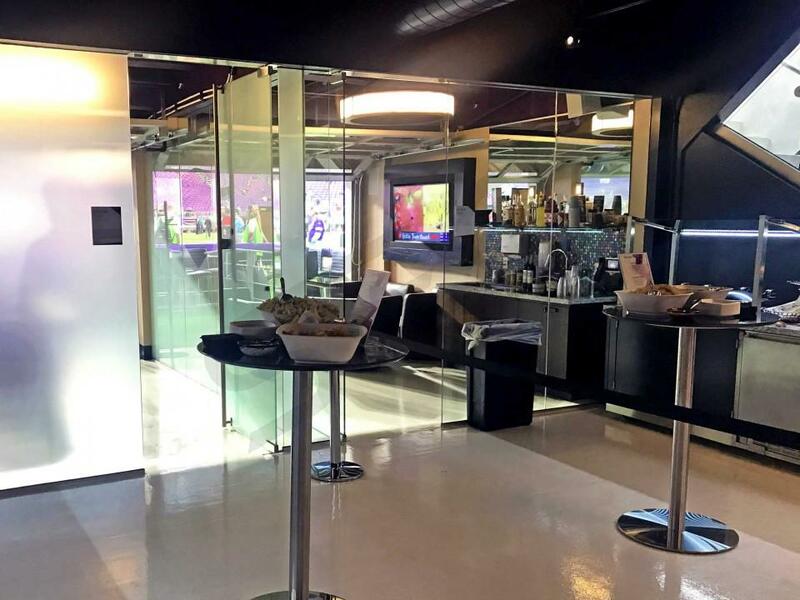 To enter the suite, you must pass through the Delta Sky360 Club, which is the same club where the Vikings players enter and exit the playing field. Past guests have described these suites as a "bucket list" experience. 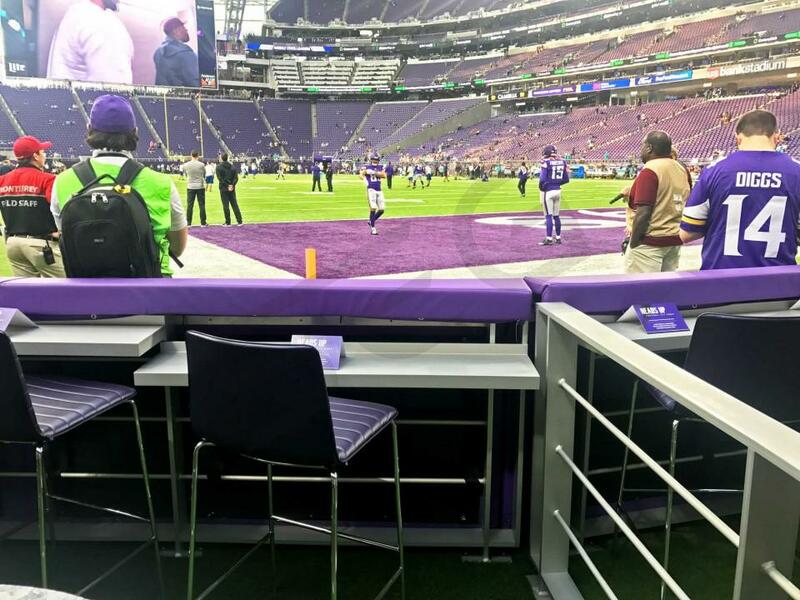 Note that as a function of being so close to the playing field and behind the Vikings bench, views of the field can be obstructed. 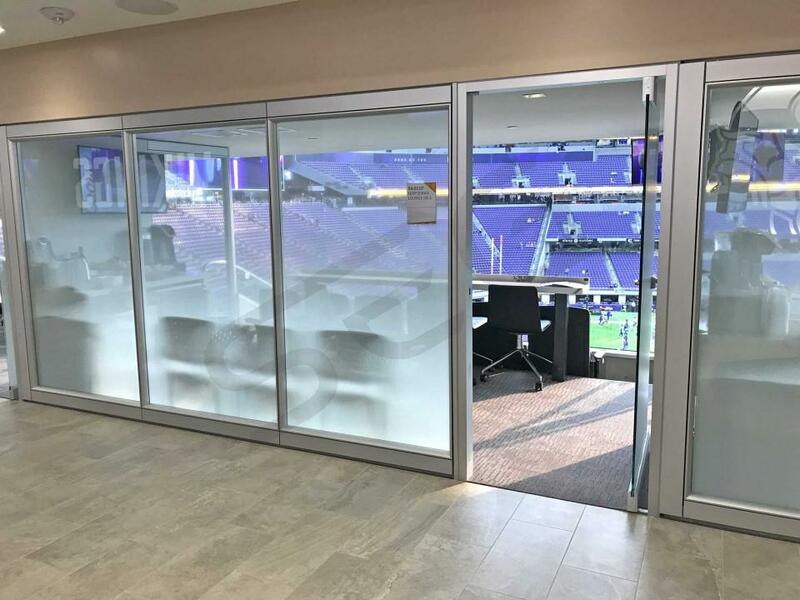 Touchdown suites are located at each end zone of U.S. Bank Stadium. They will include 24 tickets. These suites feature 10 high-backed exterior seats perched just above field level behind the end-zone. 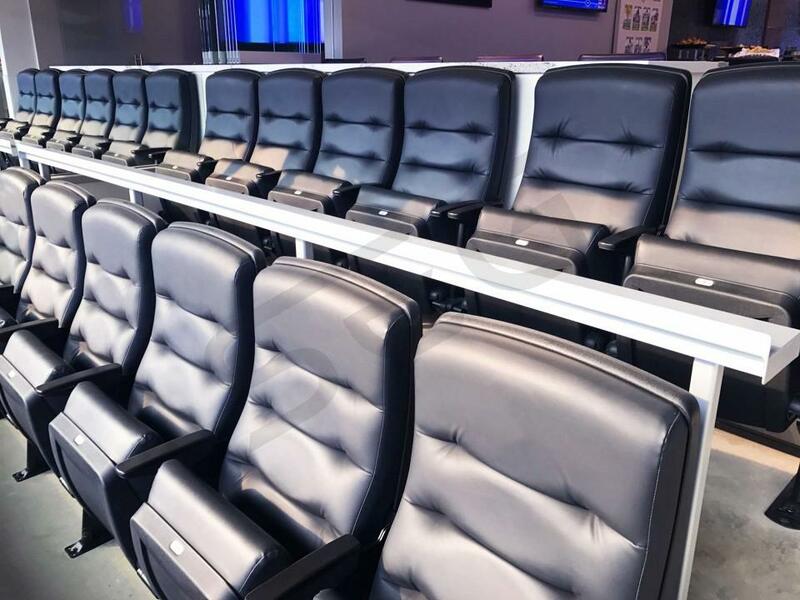 There is an additional row of 4 high-backed barstools also facing the field, as well as added interior seating. 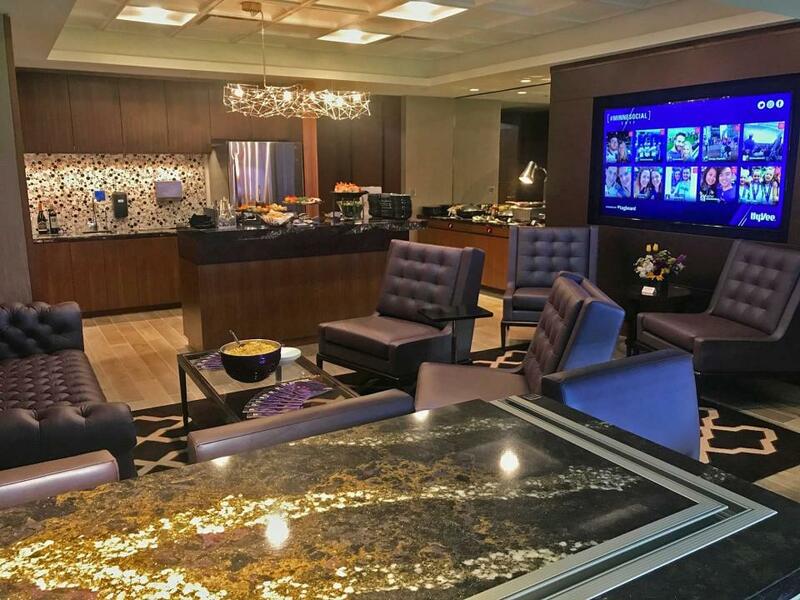 Your Touchdown Suite provides exclusive access to the Delta Sky360 Club where Minnesota Vikings players enter the field. 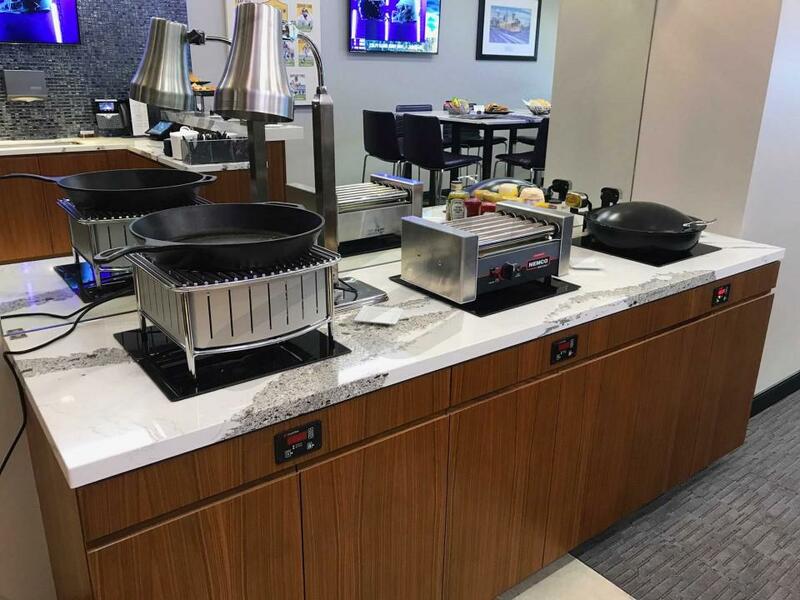 A food & beverage package (including beer and wine) comes with your suite purchase and there is also a wide array of food and drinks available in the Delta Sky360 Club at no additional cost. 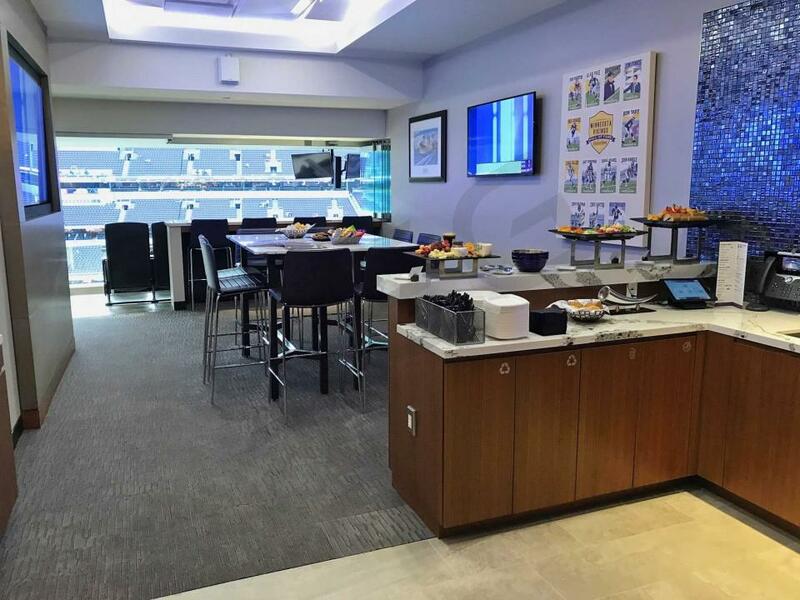 There are only 8 Touchdown Suites and it ranks among the most unique suite experiences in the NFL. 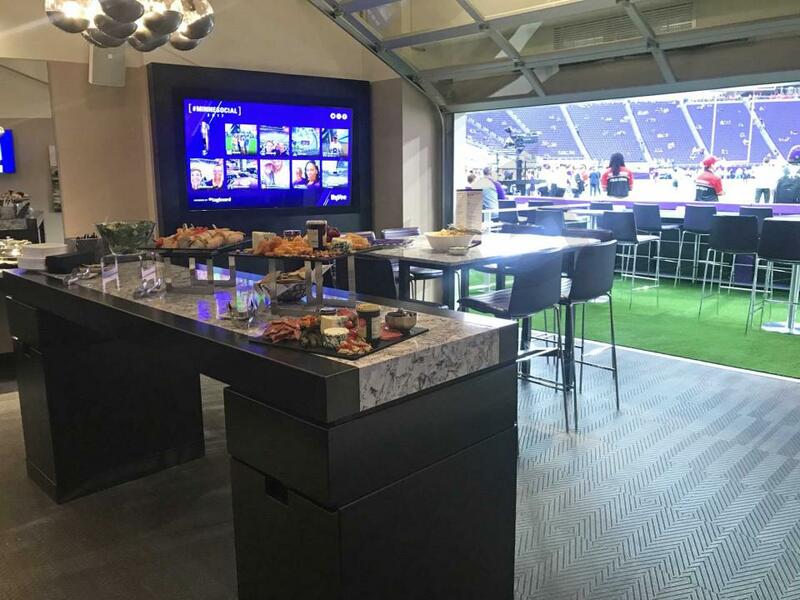 Valhalla suites are among the most desirable suites at U.S. Bank Stadium. 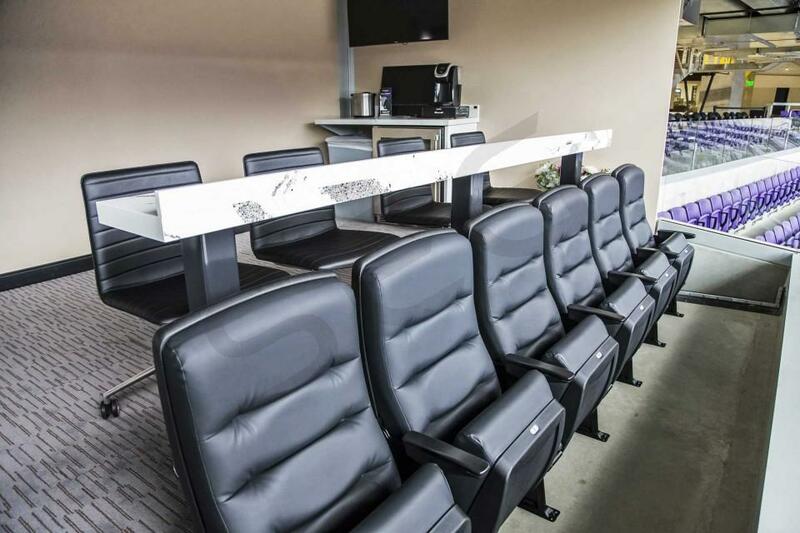 Valhalla Suites are set 17 rows above the field and are located on the Vikings sideline only. Valhalla suites offer all-inclusive customizable catering, VIP Parking passes, luxurious furnishing and HDTV's. 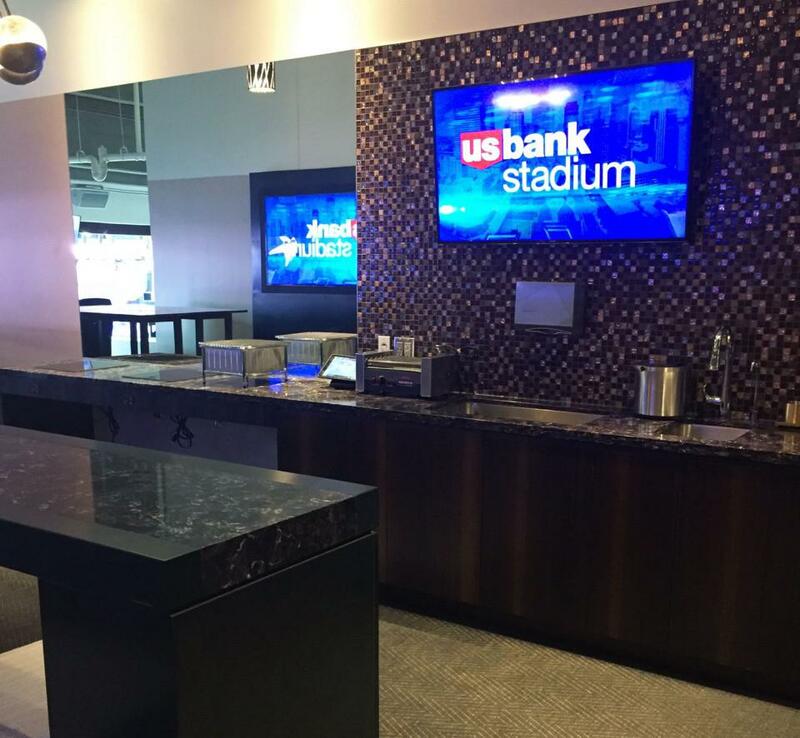 Cabin Suites at U.S. Bank Stadium are located in the northeast corner of the stadium along the visitor's sideline. Cabin Suites have 32 fixed seats, 9 bar-stools, and 9 SRO's. Cabin Suites will hold a maximum of 50 guests. With exterior seating, inside tables and chairs, WiFi, catered food included, and a bar with beer and wine provided it's a great premium option for large groups. Gates will open 2.5 hours prior to Vikings games. It may be best to arrive early in order to avoid heavy traffic in downtown Minneapolis. Minnesota Vikings suites come with parking passes that list the appropriate parking lots for your suite. U.S. Bank Stadium prohibits all backpacks, fanny packs, and purses from entering the stadium. Clear plastic bags and small clutch bags will be permitted, but most other types of bags will not. Please be aware of this prior to arrival at U.S. Bank Stadium. In addition to the bag policy, U.S. Bank Stadium security officials will pat down guests upon entering the stadium. The Minnesota Vikings are dedicated to ensuring fan safety at all U.S. Bank Stadium events. For guests attending Super Bowl LII, expect heightened security and longer entrance lines. 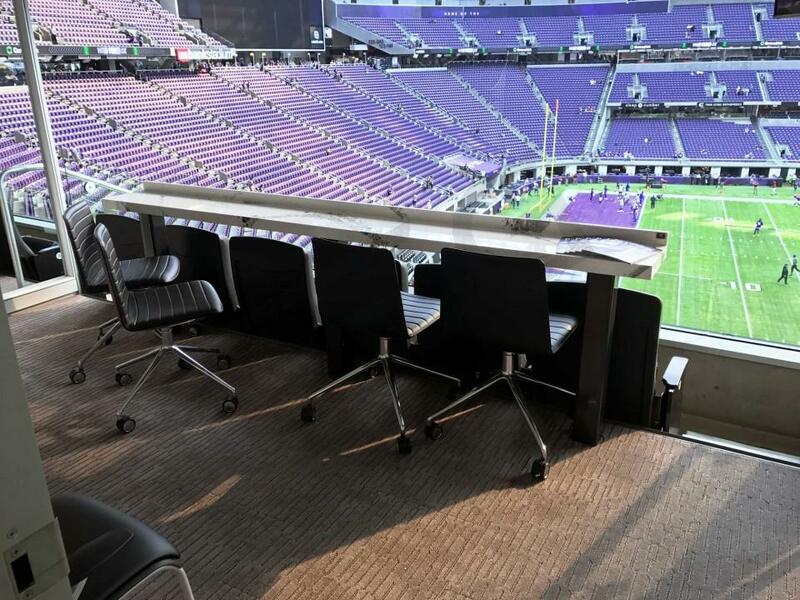 There are eight different U.S. Bank Stadium suite levels, all of which vary in size. 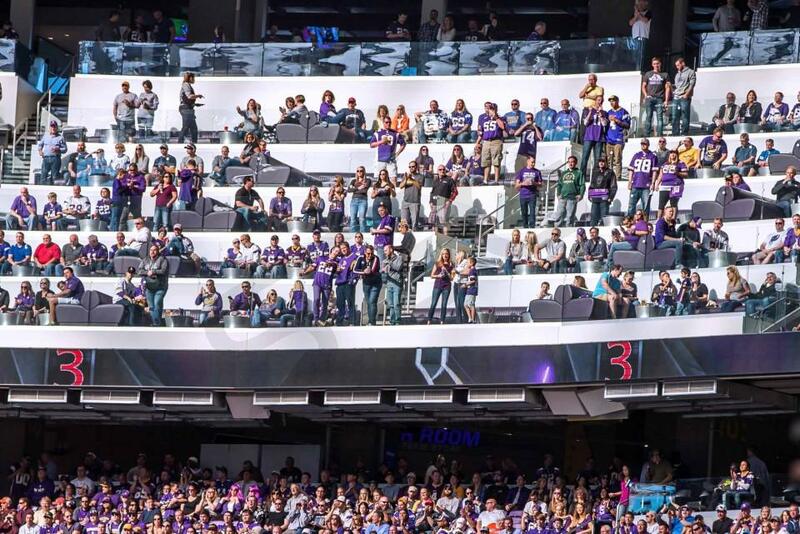 US Bank Stadium suites can accommodate anywhere from 12-50 guests. 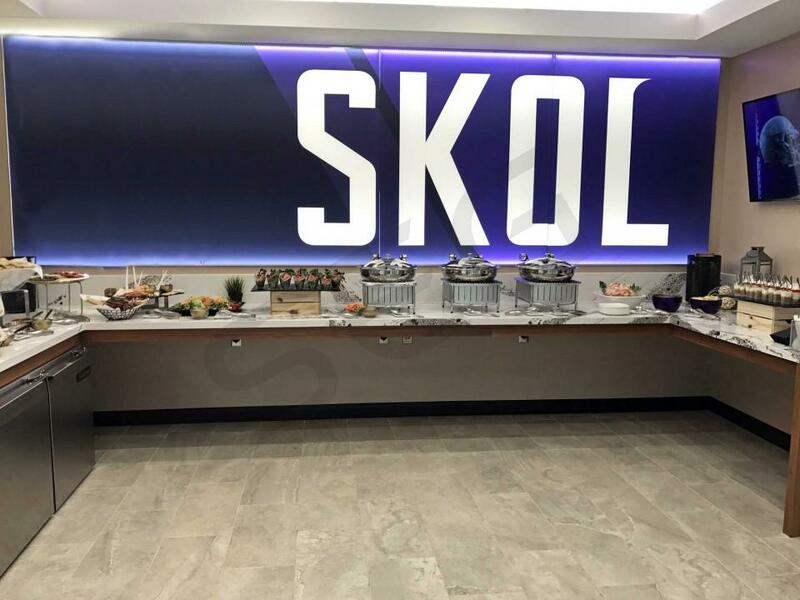 The Minnesota Vikings offer first class catering options, which can be purchased for additional cost. Suite Experience Group recommends budgeting $85 per person for food and beverages. 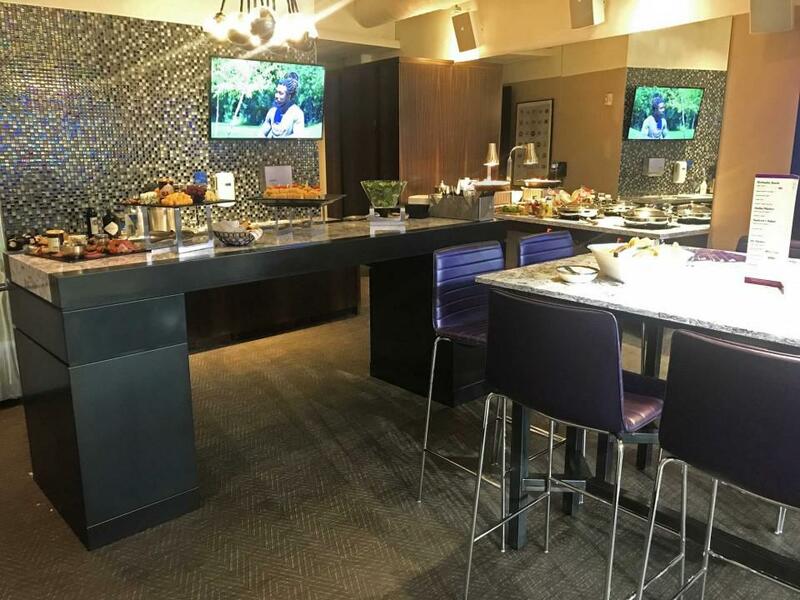 M Hospitality and U.S. Bank Stadium luxury suites offer a deluxe catering menu for you and your guests to enjoy. 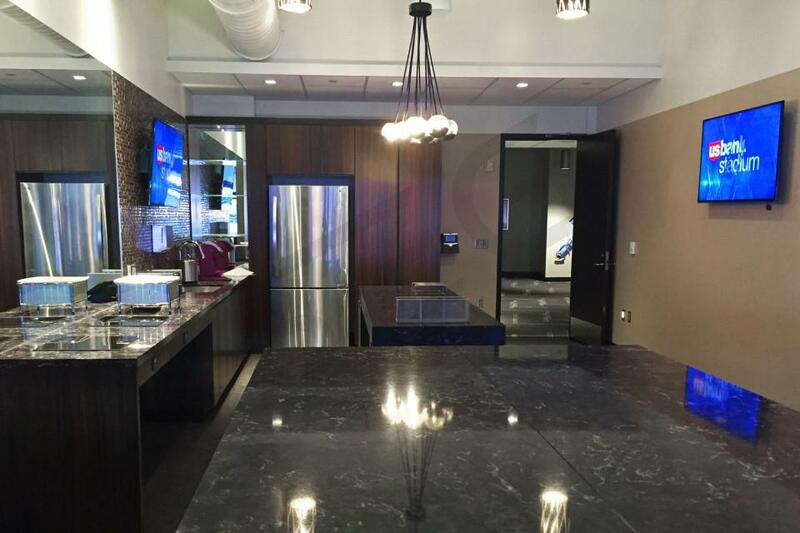 Suites for Super Bowl LII come with all-inclusive food and beverage. 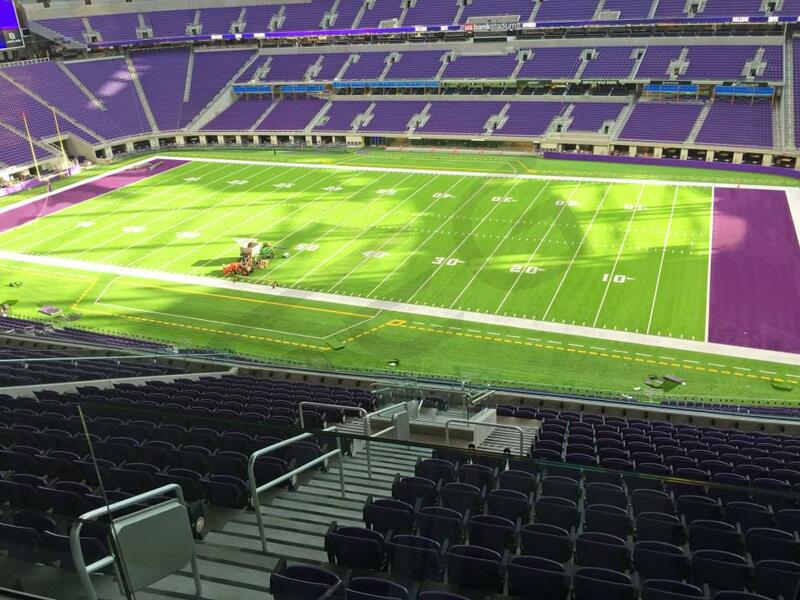 U.S. Bank Stadium is indoors and climate controlled, so there’s no need to bundle up for the winter weather. For those who choose to bring their winter gear, most suites will have a coat rack. If you’re attending a Vikings game as part of a corporate event, it may be best to wear business casual or formal clothing. The NCAA Men’s Final Four is headed back to Minnesota for the first time since 2001. It was last played in the Metrodome but will now be played at the home of the Minnesota Vikings, U.S. Bank Stadium. The 2019 Men’s Final Four is taking place on April 6th and April 8th. There will be two semifinal games being played on April 6th and the championship game is being held on April 8th. A suite for the Final Four will include tickets to all three games. “Selection Sunday” will take place on March 17, 2019 to determine the 68-team March Madness bracket. We’ll watch and see who fights their way to Minnesota. 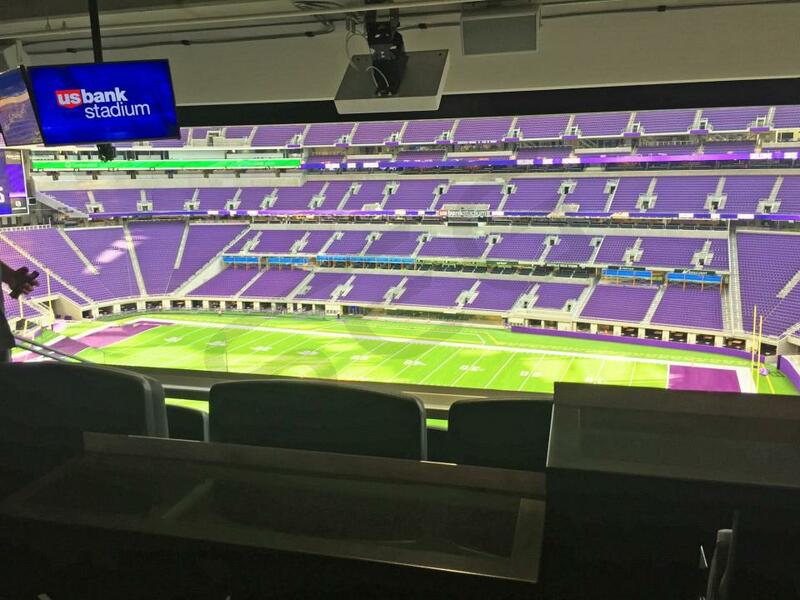 While U.S. Bank Stadium will sit 73,000 people, one of the best views in the stadium will come from a private luxury suite. 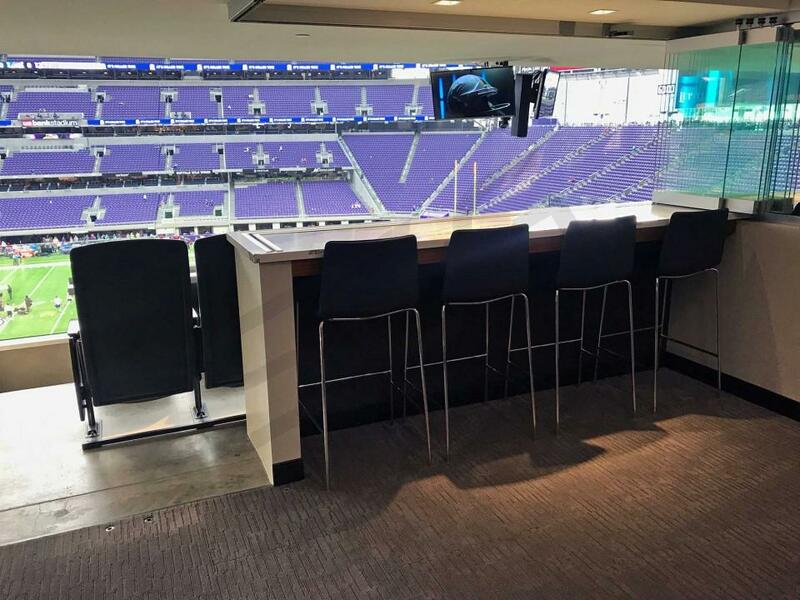 For the NCAA Men’s Final Four, you’ll have multiple suite levels to choose from at U.S. Bank Stadium. Pricing for Final Four suites will vary on the location and size of your suite. Thank you for signing up for specials at U.S. Bank Stadium. Enter your email address below to stay in touch. We'll sign you up for our newsletter, which will inform you of the latest inventory and events at U.S. Bank Stadium. We promise we will never sell or distribute your information. The seating chart below shows where the 2019 NCAA Mens Final Four suites at U.S. Bank Stadium are located.